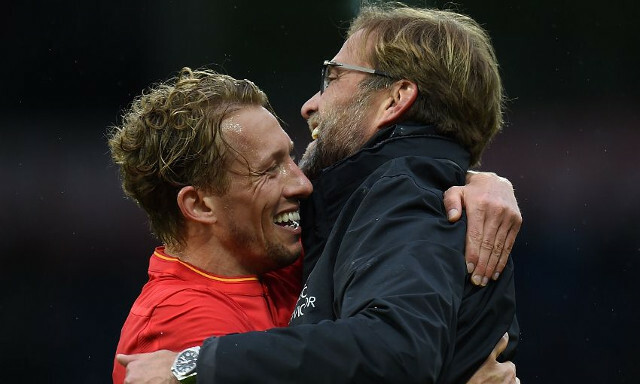 Lucas Leiva has acted as an intermediary so that Liverpool can train at Lazio’s training base before the Champions League clash with their city rivals Roma on Wednesday. This is according to Sky Sports, who suggest our former Brazilian helped persuade his current club into sharing their facilities around our crunch Champions League game. Jurgen Klopp’s side will now train before the Roma clash on Wednesday morning and on Thursday afterwards, before flying back to England to prepare for the Chelsea clash. Liverpool sold Lucas last summer, but he’s been exceptional in Serie A, with the slower pace of the league suiting his game better. That being said, we could do with his influence at the moment, with Liverpool down to just three fit central midfielders. Alex Oxlade-Chamberlain, Emre Can and Adam Lallana are all out and unavailable for varying lengths of time, meaning Klopp has some serious selection headaches for tomorrow’s Stoke clash. Can we really afford to pick Jordan Henderson, James Milner and Gini Wijnaldum when we need them all v Roma?